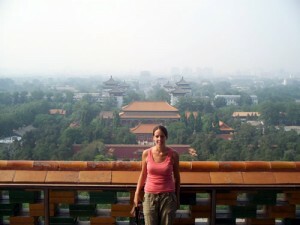 We stayed in Beijing for a 2 weeks, from Friday 11th June till Thursday 24th June. We stayed in the Hai Inn, close by to the Lama Temple. This hotel was in a fantastic location, right beside the underground and in walking distance of most attractions. Also the staff spoke good English, which was really helpful as so many people don’t speak English in China. Most people who come to China seem to be on tours, this is probably because of the lack of spoken English. We managed to get on fine though, as the hotel staff were able to point us in the right direction. We mostly used the underground to get around the city, the stops are written in English and it is easy to follow. A journey on the underground to any destination, costs just 2 Yuan each (20p). We will get a shock when we return home and have to pay over £2 for a 15 minute journey on the bus! We really enjoyed our time in Beijing. It is both a modern and cultural city. Parts of the city look similar to any other built up city, with lots of modern shopping centres and restaurants. Whereas other parts of the city have kept onto their Chinese routes, with traditional Chinese roof tops and traditional houses and buildings. 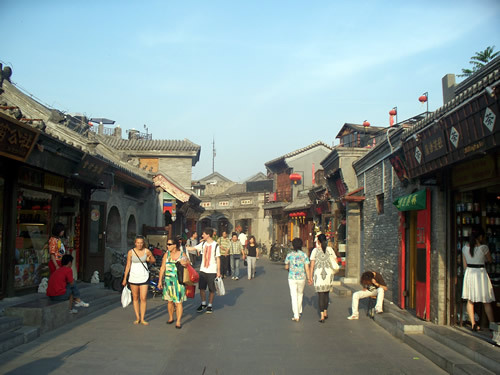 There are a few streets in Beijing which you should definitely visit whilst you are there. We went to this street in the day and the evening. There are a few shopping centres here and also market stalls. In the evening there is a night market, which we went to one evening. You will be able to taste lots of traditional Chinese food here, that is if you are in to eating lots of different meats. Being a vegetarian I wasn’t too keen on seeing the many meat treats on offer! Whole ducks, with their heads left on, liver, …..and who knows what else they were selling! 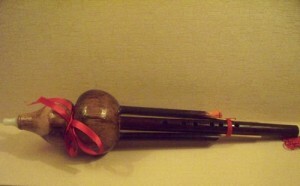 There were lots of traditional Chinese gifts to buy, including paintings and many musical instruments. Be prepared to bargain as they will put the price right up at the start. You have to type the amount you want into their calculator, as most people will not understand the amount you are saying. I was buying a fridge magnet and I asked one stall how much and they said 30 Yuan (£3). I decided to go to another stall to see how much they would say, for the same magnet and they said 55 Yuan (£5.50). I knew then that they were just saying whatever price they wanted, so I walked away. She shouted back to me 30 Yuan, 20 Yuan. She could see that I was still walking away, so she shouted 5 Yuan (50p). So I went back to get the magnet. I probably could have got it cheaper, but I was happy with this price. Take a Subway to either Dongdan or Dengshikou (Line 5). The journey will cost you 2 Yuan. This is where you will find most of the Bars in the city, hence the name ‘Bar Street’. There are also lots of shops here, including a new shopping centre which will be opening very soon. Take Subway line 2 to Dongsishitiao Qiao or Subway Line 10 to Changhong Qiao. This is where you will find Modern shopping centres in Beijing, with lots of designer names like, Guess and Louis Vuitton. Take subway line 4 to Xidan. This street was one of our favourite streets. Although it has been developed in recent years to be more modern, it still captures the look of traditional Chinese Street. 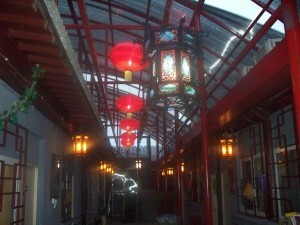 There are both traditional Chinese shops and many high street stores also. She tried charging me £25, but in the end I managed to get it for just £7. I want to buy one of the wooden flutes; I’m going to have a look out for one. There are lots of different sizes to choose from. We also visited many parks. You have to pay in to most things in Beijing, but most of the parks only cost about 2 Yuan (20p) so it’s not too much at all. Jingshan Park- We visited this park on our second day in Beijing. It is found just North of the Palace Museum. It costs 2 yuan to get in. The gardens are really clean and peaceful. There were two ladies practicing a dance routine. Apparently it isn’t unusual to see locals in the park early in the morning, practicing routines and meditating. A great place to sit and have your lunch. Also in the park is a temple located on a hill top. From the top you will see over the whole city. The rooftops look amazing from here. We enjoyed just sitting up here for a while and watching the city from above. Yuanmingyuan Park (Old Summer Palace)- To get here you should get the underground to Yuanmingyaun Station. This is the old summer palace. It cost 10 Yuan each (£1). There is a massive lake in the park with lots of lovely bridges. There are also many food stalls and souvenir stalls in the park. Lot’s of people come here for picnics. Yuyuantan Park-To get here get the subway Line 1 to Military Museum station. The park entrance fee is 2 Yuan (20p). This is a very relaxed park with lot’s seated areas to sit and enjoy the peace. There is a large lake in this park. There were a few locals playing musical instruments in the park. Beihai Park-This is a large park with a lake, located beside the Palace. 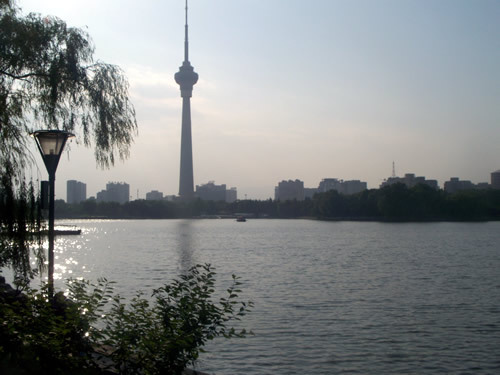 We didn’t go to this park, although we did go to the lake just above (Qian Hai). This is just across the road from the park. This is a really nice free area, where you will find lots of restaurants located around the lake. You can also hire out boats and take them on the lake. There is a little alley way with really nice shops on. Also you will find lot’s of bars in this area. Visited the Olympic Grounds from the 2008 Olympics in Beijing. We got the train from Beijing to Xian on Thursday 24th June. The train set off at 4.30pm and arrived at 5am the next morning. 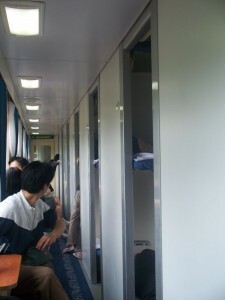 The train cost us 250 Yuan (£25) each. We will write more about our time here in Xian later. 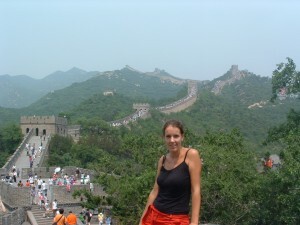 On Tuesday 16th June we visited the Great Wall of China at Badaling. This is the most popular place to see the great wall today, as this section has been restored many times. We got a public bus from De Sheng Men bus station to Badaling. The bus you are looking for is the No. 919 bus and is green. There are a few buses along the way that say 919, but the one you are looking for will say to Badaling on the sign. 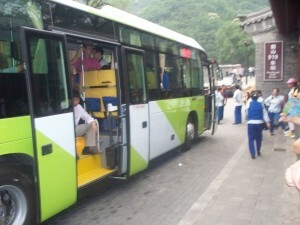 The bus costs 12 yuan (£1.20) each way and the journey takes about 45 minutes. A few people may try and get you to go into smaller buses or a taxi and may even tell you that the 919 bus isn’t running today. This is a lie, they are just trying to get money out of you. We got the bus around 11.30 am and got to the entrance of the great wall around 12.30pm. The bus drops you off near the ticket office. The entrance ticket to the great wall is 45 Yuan (£4.50) each. You then have the option to either walk to the entrance of the great wall, this will take no longer than 20 minutes, or you can take the pulley/cable car up. We decided to walk up. We walked to the 8th watch tower, which is one of the highest points of the Badaling section of the wall. The paths get very steep at times, it was a struggle, but we got there. The wall seemed to go on forever, in many directions. We didn’t have enough time to walk the full part of the Badaling section, you would need a full day. The wall is made of granite and stone slabs and is 6-7m high with a width of 4-5m at the top. 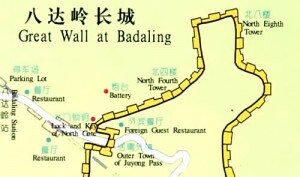 Here’s a map of the Badaling wall. Our legs feel well worked out after walking up those steep slopes! We got the bus back to the city around 4.30pm. The buses stop running around 5pm. When we got to the bus stop there was a huge queue, but no buses. The buses finally came, but even though people had been waiting, other people decided to run up and skip the queue. This caused quite a lot of fights, including one man punching another and several people shouting. This was an interesting end to the day! If anyone tells you the bus isn’t running today, don’t believe them. We decided to go and check out Beijing Zoo. We got there by tube-which cost us 2 Yuan each (20p). The entrance fee was 20 Yuan each (2GBP). After visiting the zoo we can see why it was so cheap to get in, and that is because it is so run down. We were both very disappointed about the condition of the animals and their living conditions. A lot of the animals were kept in cages just about big enough for them to stand in. I was confused as to why there were animals like flamingos locked in small cages, when last week we were able to see flamingos naturally and happily swimming on a lake in Hong Kong. I know zoo’s are not natural places as such but you are still able to create a natural environment for these animals and a cage as big as them is certainly not good enough! Most of the animals were walking around in circles in their small living spaces, whilst we were able to enjoy the open space of the zoo. There was even a massive lake that was empty. I would suggest they put their ticket prices up a little, so that they can start putting money back into treating the animals better. We went to see the Panda’s in the zoo-which is the main reason we went. The pandas were filthy and although there was an area outside for them, you could see it hadn’t been used much as everything was so overgrown and the water outside in the pond was fithy also. I really hope this zoo improves. On the bright side we went to visit a beautiful park on Saturday- Jing Shan park. It cost 2 yuan (20p) to get in, and was well worth visiting. In the park you are able to climb up a hill to the Pavillion. This is where you will see the best view over Beijing city. You are able to see the grounds of the forbiddon city, and over the Beijing City. This is the highest peak in the city, so it is well worth the climb. We just sat up there and enjoyed the beautiful view over the city. We purchased our ticket from Hung Hom train station in Hong Kong a few days before we wanted to depart. There were only a few tickets left at this point, so I would suggest trying to book your tickets at least 1 week before, especially if there is a big group of you wanting to be sat together. There were three different ticket types: Hard Sleeper, Soft Sleeper and Deluxe Soft. The hard sleeper, sleeps 6 people with a three tier bunk bed on each side of the room. This is the ticket we went for. Our tickets cost us 574 HKD each (£50 each). If you are on a budget you must book at the train station and book a upper hard sleeper bed, this is the cheapest option. Hard sleeper consists of open bays of 6 bunks (upper, middle & lower) on one side of an aisle. In spite of its name, berths are padded, bedding is supplied, and many budget western travellers prefer it. There are fold-out seats in the aisle either side of small tables. Soft sleeper consists of spacious carpeted & lockable 4-berth compartments, with toilets & washrooms at the end of the corridor. Note the lacy decor & flower in a vase on the tablecloth! Some trains even have personal TV screens for each berth. Deluxe Soft Sleeper 2-berth deluxe soft sleepers have upper & lower berths on one side of the compartment, a wardrobe and armchair on the other side. This room also has a private toilet and washroom. Train T98 runs from Hong Kong to Beijing on odd dates in Jan, April, May, Aug, Nov, Dec 2010 & even dates in Feb, March, Jun, July, Sep, Oct 2010. It runs at 3.15pm and arrives at Beijing West station at 14.50pm the next day. Check www.mtr.com.hk for up to date train times and fares. We got to the Hung Hom station 1 hour before we had to depart. We were told to give ourselves plenty time as you have to go through security and go through passport control. You will need to show your passport with your China Visa and also your departure card for Hong Kong. Once we went through security we had to find the room with our train number on. It’s lay out was similar to an airports departure hall. All the announcements for the trains were called out in Chinese, so make sure you ask or look out for your train number, on a board that they hold up. One guy missed his train, even though he’d been sat there the whole time, he just didn’t realise his train had been called. You have to wait in the waiting room like you do in an airport, for your train to arrive and then you board about 30 minutes before. The gates close 10 minutes before departure and you will not be allowed on if you are late. We got onto the train and found our beds. We were in a room with 4 other Chinese locals. There is luggage space under the bottom beds and also near the upper beds. There were two seats outside everyone room, for you to sit on whilst you weren’t sleeping. The problem is there are 6 people in each room, so it’s not also easy to get a seat. Further more only some seats had plug sockets beside them, which caused quite a fight between people wanting to charge phones and lap tops. The journey was comfortable although it was very long! It is good because there is plenty space on a train for walking around to stretch your legs. I also sat and enjoyed the many things we passed on the way and used the time to catch up writing in my journal and plan our time in Beijing. We arrived in Beijing at 14.50pm on Friday 11th June. When we got off the train we had to go through passport control again and we got a stamp in our passports, showing us we had 30 days in China. We had our reservation at the hotel booked and planned on getting a taxi to the hotel. This was not as easy as we had hoped! We had the address written down in English, but none of the taxi drivers could read it. This was very frustrating as we were tired, but it was our own fault for assuming they would be able to read it. We managed to get onto the lap top and find the hotel phone number and we finally gave that to a taxi driver. This was 1 hour after we had arrived at the train station. Nothing is written in English at the train station so it is difficult to understand what to do and where to go. When we came out of the train station Taxi drivers were coming up to us trying to get us to get in a taxi-they tried charging us 150 HKD (£15) for the journey. Paul finally noticed a sign for a taxi rank and we realised that we were in the wrongplace to get taxis. That’s when we decided to go down to the taxi rank. All the taxi’s here have meters and charge you 2Yuan (20p) per km with a minimum of 10Yuan. Just remember if you don’t see a queue then it’s probably not a taxi rank also make sure they use the meter. Well we finally got to our hotel. We are staying in the 1 Hai Inn (also known as the Candy Inn), located near the Lama Temple in Beijing. The hotel is really nice. There is a bar and lounge area and the staff all speak English and are very helpful. We are central and close to a subway station, so it is great for getting around the city. We will write about our time here in our next blog.